Opening credits with mistakes in them. 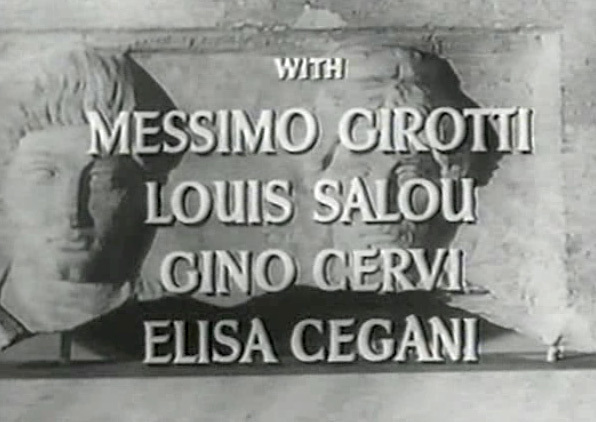 Above: from FABIOLA...Messimo Girotti should be Massimo Girotti. And below, from MACISTE IN THE LAND OF THE CYCLOPS, Gordon Mitchell is now Mitchell Gordon. In the US version of DUEL OF CHAMPIONS, the name for the composer is incorrect. His name is Angelo Francesco Lavagnino. 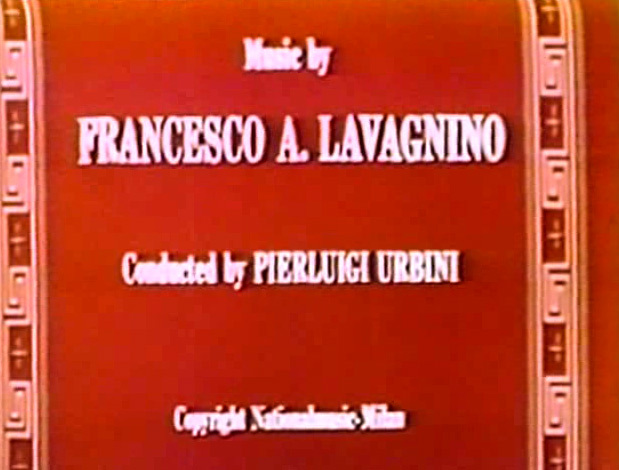 The A. shouldn't be in the middle which would be Francesco Angelo Lavagnino. I made a Fan Dub of this and actually redid the opening credits and kept the mistake regardless.